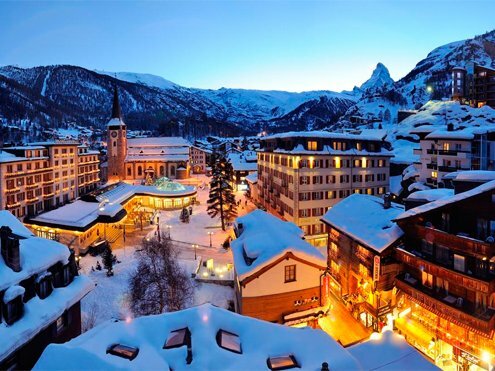 There are many reasons why Zermatt should be on everyone’s “bucket list”. The fact that the majestic alpine mountains that circumscribe the village, which itself has an altitude of 1,620 m and provide an almost mind-blowing variety of well-prepared ski slopes, is, of course, reason enough to visit this classic winter paradise. And then when you add the towering Matterhorn with a whopping 4,478 meters (14,690 ft) – and which shape incidentally is the template for Toblerone, the famous Swiss chocolate, the slew of restaurants and shops along the village’s picturesque main street and the rustic, historic wooden cottages scattered all around, you begin to get why Zermatt has attracted visitors from near and far for over 150 years. It’s just super easy to fall in love with this place! Zermatt is an international destination and you realize this as soon as you pull into the small train station after a three hour ride from Zürich through some really beautiful Swiss landscapes. All languages are spoken here. There’s even a Swedish lady that works at the famous boutique chocolate store, Läderach. 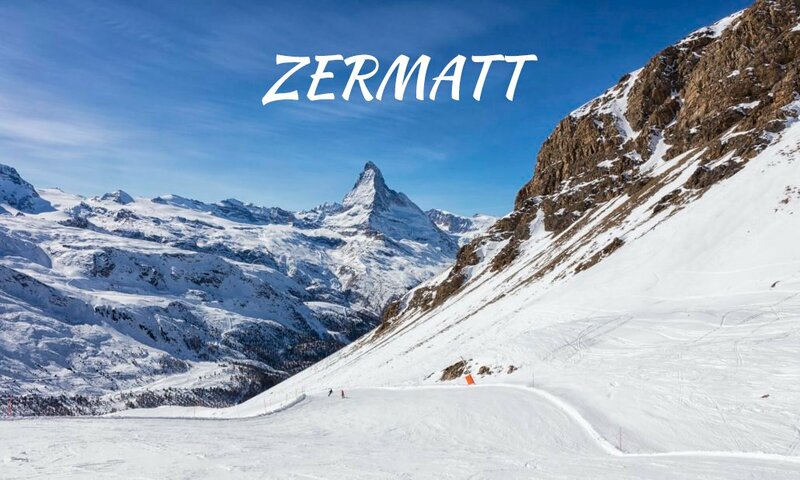 About 5 000 permanent residents live in Zermatt and yet even during peak season when thousands of visitors pour in from all over the world, it never feels crowded. 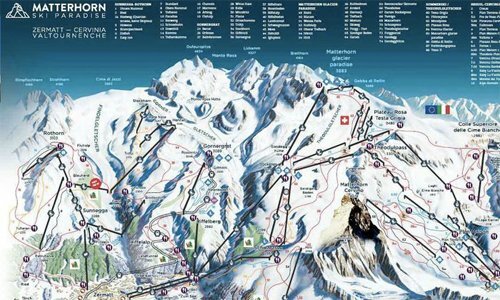 Not in the way it can get at other ski resorts where you often end up spending most of your week standing in queues. The lift system here runs smoothly and super effeciently. Just like a, well, a Swiss watch! That said, it’s still smart to try to hit the lifts and mountain trains early. And to avoid late time slots, I suggest you make dinner reservations a day or so in advance. Especially if you want to enjoy one of Zermatt’s more well-known eateries, like Myoko Teppan-Yaki & Sushi or extremely popular 1818. Don’t worry – there are dozens of more accessible pizza and pasta place as well for more spontaneous meals. And Zermatt has plenty of bars, a few small movie theatres and even an ice hockey/ice skating rink, if your into that scene. My most recent visit to Zermatt was in February and I had a blast on all fronts. But I do plan to return soon again to experience the villages increasingly popular summer season. So I can enjoy all the hiking trails and nature walks available throughout the valley. And if I feel like it, I might even do some summer skiing on the glacier below the mighty Matterhorn. 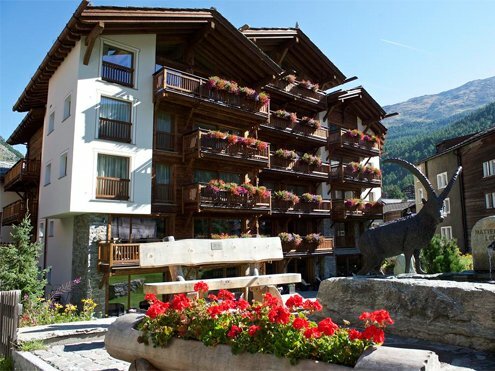 As the first hotel ever built in Zermatt, the Monte Rosa is located right in the centre of the village and 400 m from Zermatt Train Station. It combines the charm and style of a 150 years-old building with up-to-date luxury. The Monte Rosa Boutique Hotel’s tastefully furnished rooms and large suites are all individually styled and feature cable TV and a minibar. Guests enjoy free access to the spa area and swimming pools of the 5-star hotel Mont Cervin, 500 m away. Edward’s Scottish-style bar and café is well known for tasty coffee, fine cocktails and a wide range of selected drinks. In summer, guests can dine in the garden which offers views of the Matterhorn. After a fullfilling day of sports and leasure in a spectacular mountain area, you’ll happily return to the warmth and cosiness of your hotel room! All our rooms are equipped with spacious en-suite facilities like a large flat screen TV, Wlan, BOSE bluetooth device, telephone, a safe, a coffee machine and tea making facilities and a small selection of non-alcoholic drinks. Please spend some relaxing moments in our Lounge or at the Solvay House bar with its open fire place! The entrance of our great Spa is free of charge for hotel guests. Our spacious ski room offers heated boot lockers. 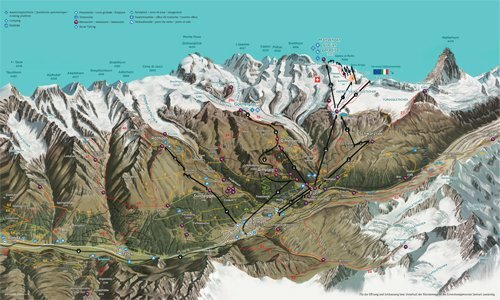 Hotel Alpenroyal is right at the end of the Rothorn ski run, 5 minutes from the Sunnegga valley station (via a lift) and The Gornergrat railway station and the town center are only 12 minutes walk away. Relax and breathe in our wellness area. Feel the power of the mountains and recharge with new energy. The swimming pool with jacuzzi is daily open from 8.00 a.m. to 8.00 p.m.. A tranquil and comfortable lounger area with mountain views invites you to unwind and rest. 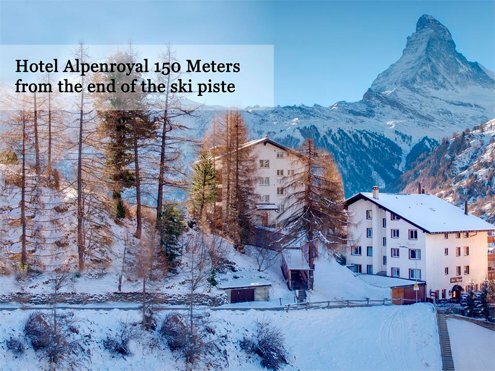 The Alpenblick provides a quiet location close to the cable car to the Matterhorn Ski Paradise and a 5-minute walk from the center of Zermatt. It features a sauna, a sanarium and modern fitness facilities. Relax you with a refreshing drink, a fine meal or a coffee on our sun terrace. 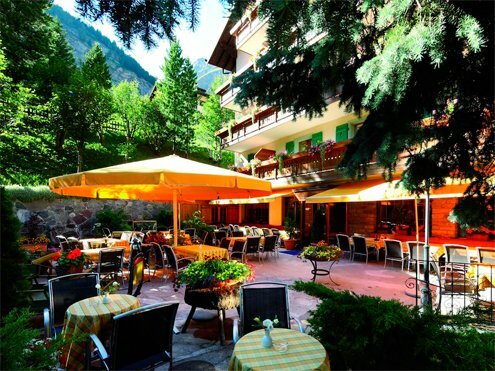 For many years, our terrace has been the meeting point for mountaineers before and after a Matterhorn ascent.